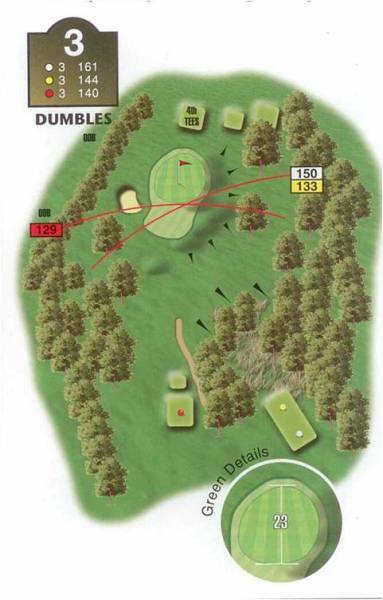 "A friendly mid-length par 3 requiring a well struck shot. The green is elevated and framed by a large, statesman-like tree guarding the right-hand side, manoeuvring the player over to the left where two unassuming bunkers lie in wait. Watch out for the crosswinds. Inconspicuous slopes challenge the player's judgement on the green."